Local A.R.P. 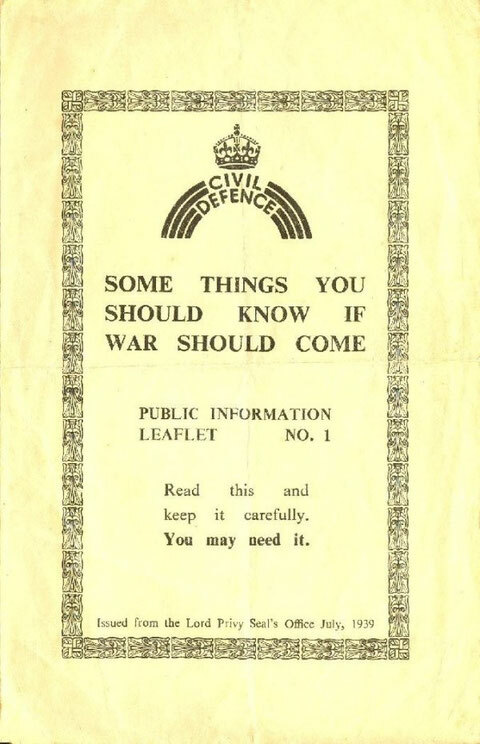 Wardens were responsible for sounding air raid warnings, reporting damage, sealing off affected areas, taking people to shelters, and notifying the emergency services. They helped to clear the streets of debris, and enforced the blackout regulations. They had to be strict with blackout, as the smallest chink of light could be seen by enemy planes. 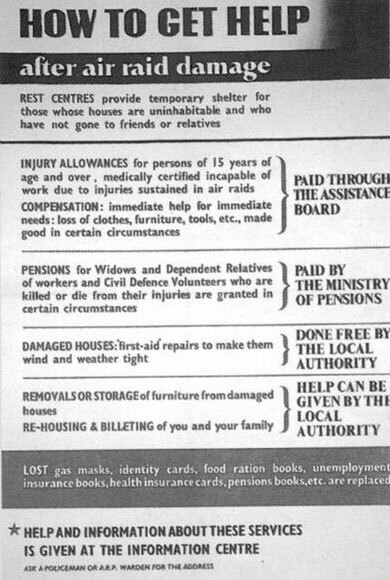 The wardens also played a role in rest centres. If your house was destroyed or badly damaged by bombing, you could go to a Rest Centre, where you would get shelter, food and clothing. In this area the centres were at the Baptist school, Alexander Road, Acocks Green schools on Westley Road, and Pitmaston Road school. If you were injured, and your injuries did not require an ambulance, you would be taken to the First Aid post at Acocks Green schools, Westley Road. A night time blackout was brought in at the start of the war. All windows and doorways in public buildings and private houses had to be covered using heavy curtains, boarding, blinds, or paint, so that the slightest chink of light could not escape. Those who did not obey this rule were liable to heavy fines if caught. Most street lights were turned off. At first vehicles were not allowed to use lights, but there were accidents, and slotted covers were later allowed. White strips were later painted on lamp posts and tree trunks for increased safety, and people had to carry torches when they went out, which they had to point downwards. they were advised to let their eyes get used to the darkness before they moved off. 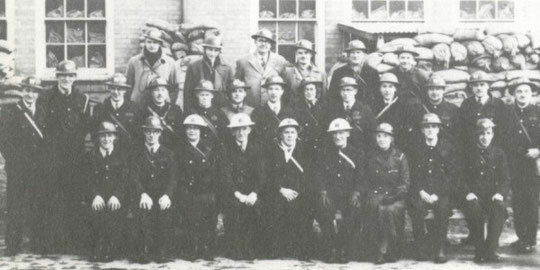 Originally the Local Defence Volunteers, the name was changed in July 1940. Men from 17 to 65 would be given uniforms, and be armed, but would not be paid. They were to help to repel any invasion. 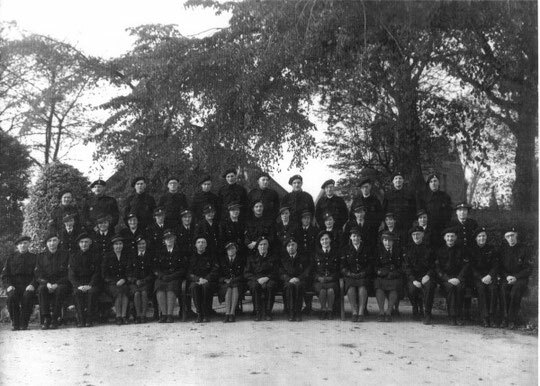 Home Guard members were too young or old to be in the army, or in reserved occupations (needed for the war effort). At first, proper weapons and uniforms were in short supply. In the end, their main role was in helping other local agencies. The BBC has an interesting page about the Home Guard. I was in the 38th Battalion of the Home Guard. At first we didn't have weapons, and only later got rifles and bayonets. Ours was a Works Battalion, whose job it was to defend the factories in Tyseley. We were stationed in a house at the corner of Flint Green Road and Arden Road. Our company from Slumberland had to supply a night time guard for Flint Green Road every month. I would finish work at 6.30, grab a bit of tea, and was on guard from 8 o'clock until 6 the next morning, when the day time lot came on. I went home for a quick breakfast, as I had to be in work at 7.30 to do a full day's work again. I remember one time when the Home Guard was tested out by the regular army. They were going to 'attack' factories at Tyseley. My job was as a lookout at Hazelwood Road. I had to get word to Stockfield Barracks if anything happened. I challenged one man, but was outnumbered and captured. However, I gave them the slip in Fox Hollies Road, and went round the back way and warned them at Stockfield Barracks that they had broken through the perimeter. We were pushed back to Tyseley. The exercise lasted from 8 o'clock Saturday night to 1 o'clock Sunday afternoon. Stockfield Barracks, where the Mecca is now, was where the 24th Battalion was stationed. When the threat of invasion was over, I was drafted to the anti-aircraft battery on Cockshut Hill. There were 16 batteries, and each could fire one or two rockets, so you could fire 32 at once. 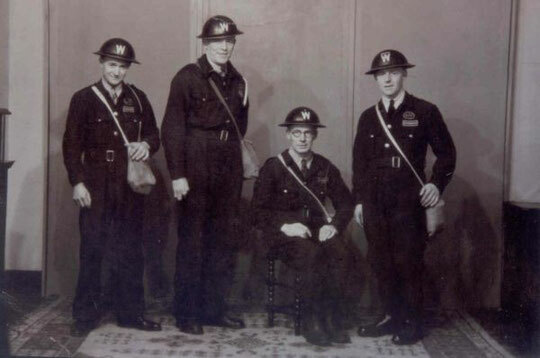 There was a Home Guard Control Post at Wake Green Road, and we had to get there by postman's bike from Flint Green Road. Our HQ was at Stockfield Road Barracks, We used to patrol in twos at night, every fourth night, in case anything happened, like parachutists. We used to go over the canal bridges and everything. Then they changed the name of the LDV to the Home Guard, and we had khaki uniforms and were issued with rifles. A lot of the fellows in the Home Guard had seen active service in the First World War and were comparatively young men. They knew everything about the armaments, and were our instructors. Another every fourth night (so we were patrolling every second night, really), they used to pick us up at Stockfield Road and take us into town to disused warehouses in St Mary's Row, at the back of the General Hospital. We had to go out in twos. You carried your stirrup pump with you and helped to put out the fires in town. We had to help the National Fire Service. The Birmingham Fire Service had been taken over and was now part of the NFS. I was on duty a couple of times when two of the big raids took place. We would welcome more memories about the Home Guard in Acocks Green. It is the utmost importance that Gas Mask Drill should be regularly carried out, and that Gas Masks be periodically examined and tested. Only by such regular drill can children learn to don their Masks with speed and confidence and to wear them without discomfort of fear. It should be, of course, remembered that children should only put on their respirators when warning signal of gas is given by Rattles. Head Teachers and Teachers must be in no doubt as to the accommodation offered by each shelter or shelter – room on the school site. Shelter should be allocated to the different classes and, other things being equal, the younger children will use the shelters nearest to their classrooms. A clear and simple scheme of numbering the shelters may be helpful. 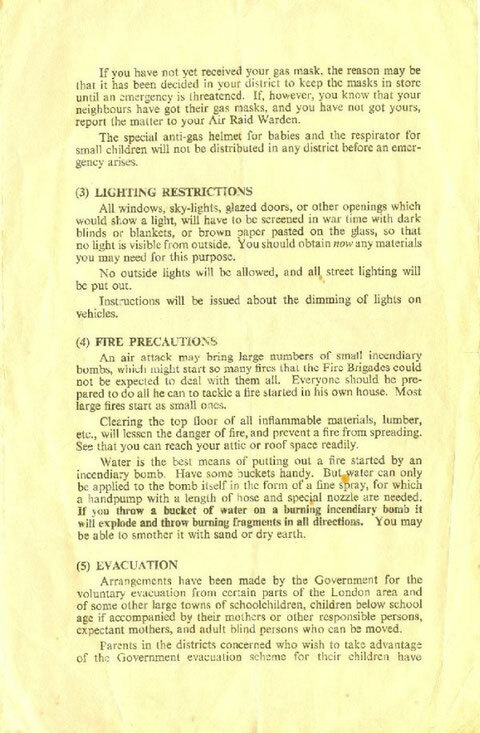 Equipment of the shelters, whether of the trench or overground type, comprises seating, sanitary provision, first-aid requisites, and portable lamps. The first-aid outfits and lamps should be examined daily. Each school should provide itself with as many water pails as it has shelters. These pails should be kept scrupulously clean, filled with fresh water each day, and placed in the shelters. An enamel cup should be tied to each pail. Everything that is to be required in the shelters should be put there in the morning. 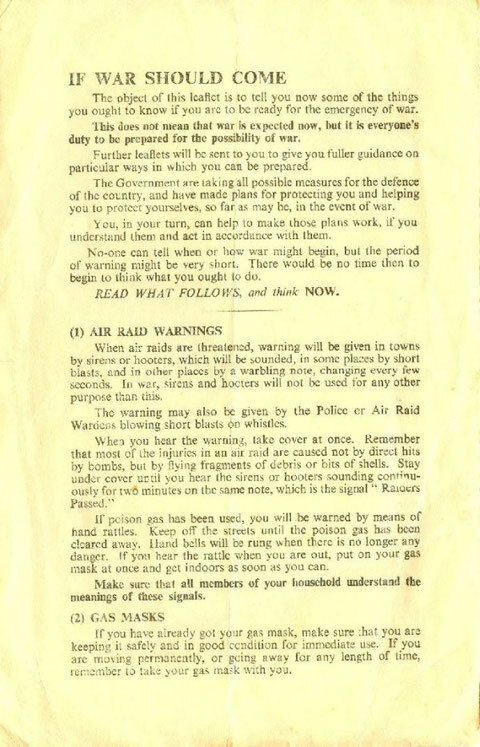 When an air raid warning has been sounded teacher’s one preoccupation must be to get the pupils under cover as quickly as possible. In addition to the equipment described, teachers should arrange for the children to take to the shelters such school equipment and books as will help to keep their minds occupied during the time of waiting. If these rooms have been cleared of furniture it should be so arranged around the room as to provide seating for all the children. Where rooms are cleared of furniture and no seating accommodation has yet been provided, children should sit on the floor. The equipment of these shelters should be the same as for the underground or overground type. There should be occasional practice in the use of emergence exits. More often than not children during ‘Take Cover’ rehearsals or in a real Emergency will put on their out-of-door garments before going to the shelters. So that they may be able to do this as quickly as possible some modification in the cloakroom arrangements may be necessary. The first concern of the School Staff is that of the safety of the children. The protection of the school building itself and the responsibility for dealing with any serious casualties which may occur lie with the A.R.P. Services of the City. Head Teachers should make themselves familiar with the A.R.P. arrangements in the immediate neighbourhood of the school, e.g. the location of the nearest Warden’s Post, Public Shelters or places of refuge in the vicinity or on the routes followed by pupils on their way to and from school. Children should be clearly instructed how to act if an emergency arises while they are coming to or going home from school. The following particulars of arrangements which are being made by the Education Committee for the protection under their control are given. 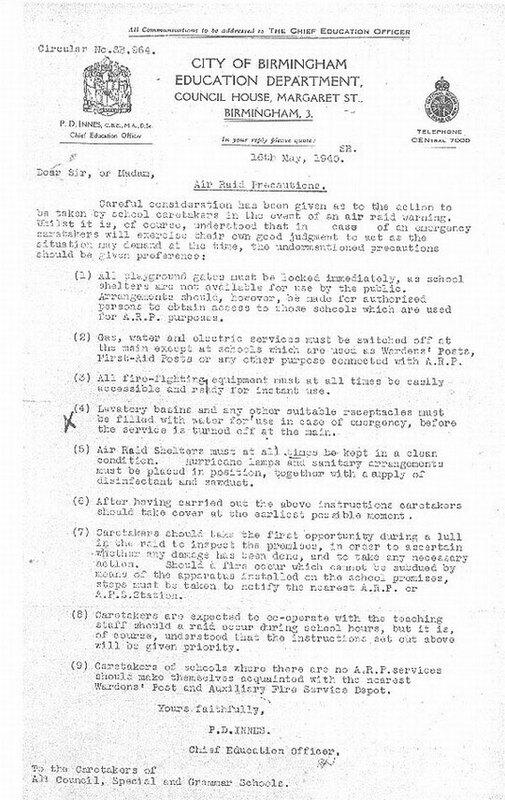 In non-provided schools where the Air Raid Shelters are outside the school buildings, no special apparatus will be supplied beyond the normal equipment for Special Subjects room. In Council schools and other institutions under the Education Committee’s direct control, a Stirrup Pump or Pumps and Redhill Sand Containers. Scoop and Rake have already been supplied. 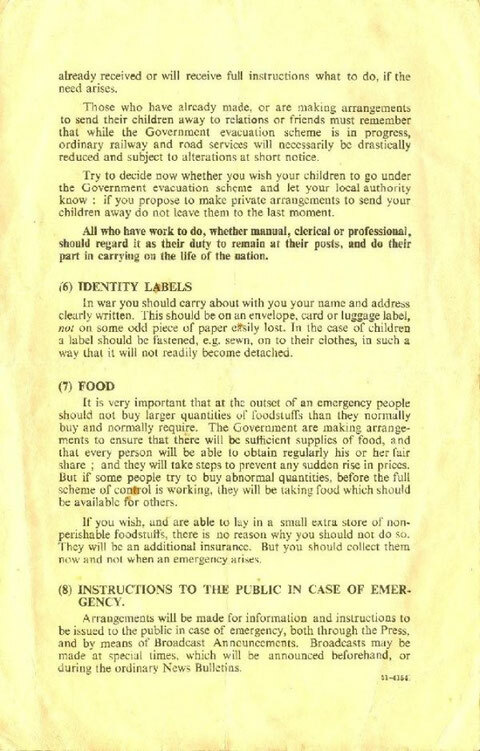 At schools where protected rooms or passages have been adopted for Air Raid Shelters, arrangements have been made for the supply of a Stirrup Pump, a Redhill Sand Container, Scoop and Rake, also a Sand Bucket and Fire Bucket. In some of the larger schools in this category two of each will be supplied. In all Cases where the aforementioned equipment is, or will be available Headteachers are requested to make themselves conversant with its use and instruct and organise their respective Staffs with a view to dealing with an emergency should the occasion demand. There appears to be some misapprehension with regard to the provision of, and the use of sawdust. Sawdust is not to be put in the closets, but a quantity damped with diluted disinfectant should be available in each shelter for use in the event of a child becoming affected with sickness. No special fluid will be supplied for use in the closets, but arrangements have been made for the supply of considerable quantities of ordinary disinfectant to be sent to the caretakers of large schools, from which the caretakers of smaller schools can obtain their requirements. To ensure satisfactory sanitary conditions about 1 gallon of water should be kept in the closets, and in the event of emergency half a cupful of disinfectant is to be added to the water. The closets are to be emptied daily after use.